May 11, 2017 — Links International Journal of Socialist Renewal reposted from Socialist Project — Was Marx a superman or a human being? Joan Robinson once asked a Soviet professor this very question. Of course, Marx was human, he answered. ‘Then he could make mistakes?’ Yes. ‘Would you mind mentioning a mistake that he made?’ The Soviet professor changed the subject. However, 150 years after the publication of Volume I of Capital, it is long past time for revolutionaries not to change the subject but to talk seriously about mistakes Marx made in Capital and their implications. This article is about one such mistake and how it infected Capital and subsequent practice. January 29, 2017 — Links International Journal of Socialist Renewal — The following talk was given at the International conference "150 years Karl Marx’s Capital - Reflections for the 21st century" held in Athens, Greece on January 14-15, 2017. Organised by the Rosa Luxemburg Stiftung - Athens Office in cooperation with Theseis, the conference discussed the actuality of Marx’s theoretical system of the critique of political economy 150 years on from the publication of Capital Volume I. 국제전략센터/International Strategy Center -- 2016년 5월 24일 – 링크스– 마이클 레보위츠는 사회주의적 대안 구축에서 나타날 수 있는 문제점을 연구하는데 많은 시간을 할애해온 맑스주의의 선도적 인물이다. 레보위츠는 2004년부터 2010년까지 6년간 베네수엘라 까라까스의 미란다 국제 센터(CIM)에서 혁신적 실천방안과 인간 발전을 위한 프로그램 개발 책임자로 일하면서 “21세기 사회주의” 건설에 참여할 기회를 가졌다. 레보위츠는 최근 링크스와 공동 주최로 호주에서 개최된 21세기 사회주의 컨퍼런스에 참석했다. 아래 내용은 컨퍼런스에서 레보위츠가 중심이 되어 논의한 오늘날 라틴 아메리카에서의 신자유주의 반대와 사회주의 대안 전망에 대해 인터뷰한 내용이다. June 20, 2016 -- Links International Journal of Socialist Renewal -- Speaking at the "Socialism in the 21st Century" conference held in Sydney in May 2016, leading Marxist author Michael Lebowitz, who writes and researches the problems and possibilities of building a socialist alternative, presents a paper on what socialism might look like in this century and the differences with 20th century socialism as represented by the developments in the Soviet Union. The conference was organised by the Socialist Alliance and sponsored by Links International Journal of Socialist Renewal. 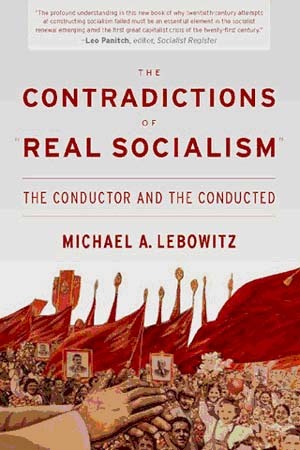 May 24, 2016 — Links International Journal of Socialist Renewal — Leading Marxist author Michael A. Lebowitz has dedicated a big part of his research to the problem of the possibilities of building a socialist alternative. He spent six years (2004-2010) in Venezuela working as a director of the program for Transformative Practice and Human Development at the Miranda International Center (CIM) in Caracas, where he had the opportunity to participate in the building of “socialism for 21st century”. Lebowitz was recently in Australia for the Socialism in the 21st Century conference, which was co-hosted by Links. In the interview published below, Lebowitz covers some of the topics he discussed during his visit regarding the opposition to neoliberalism and the prospects for a socialist alternative in Latin America today. Este oportuno libro anteriormente fue publicado por Colección Debates Sobre Socialismo, Corporación Plataforma Nexos, Escaparate Ediciones, Chile, octubre 2012. Su autor es Profesor Emérito de Economía de la Universidad Simon Fraser de Canadá. Para nosotros los cubanos su obra nos s muy familiar y hoy podemos recordar varios de sus trabajos: Más allá de El Capital: la economía política de la clase obrera que recibiera el Premio Deutscher en 2004 a la mejor y más innovadora obra reciente de tradición marxista en el mundo angloparlante. Este texto fue publicado en Cuba en 2008 por la Editorial Ciencias Sociales. De igual forma en 2009 la Editorial Ciencias Sociales publicó El socialismo no cae del cielo y en 2015 Ruth Casa Editorial y el Instituto Juan Marinello publicaron Contradicciones del socialismo real: el dirigente y el dirigido. 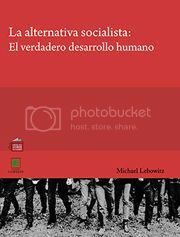 Más recientemente Lebowitz publicó The socialist imperative. 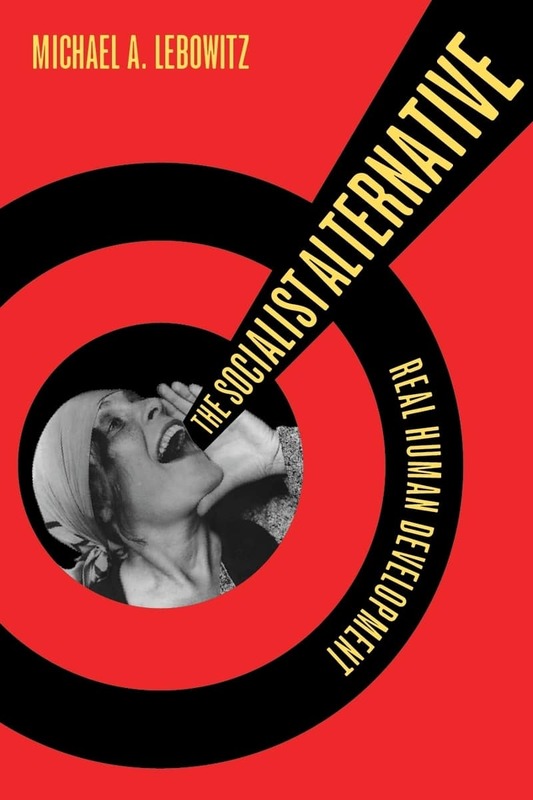 Michael Lebowitz's "The Socialist Alternative: Real Human Development"
March 6, 2016 -- Links International Journal of Socialist Renewal -- The following was a presentation given by Cuban scholar Olga Fernández Ríos at the launch of the Cuban edition of Michael Lebowitz' The Socialist Alternative: Real Human Development at the Havana International Book Fair, February 15, 2015. It has been translated by Sean Seymour-Jones. Lebowitz will be one of the keynote speakers at Socialism for the 21st century: Moving beyond capitalism, learning from global struggles being held in Sydney on May 13-15. This timely book was previously published by Colección Debates Sobre Socialismo, Corporación Plataforma Nexos, Escaparate Ediciones, Chile, October 2012. Its author is a professor emeritus of economy from the Simon Fraser University of Canada. 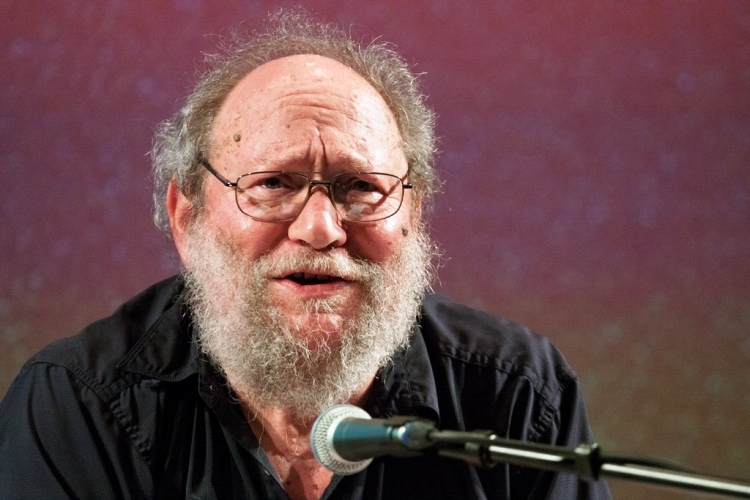 For us Cubans his work is very familiar and today we can recall many of his works: Beyond Capital: The Political Economy of the Working Class that received the Deutscher Prize in 2004 for the best and most innovative recent work of the Marxist tradition in the English-speaking world. This text was published in Cuba in 2008 by Editorial Ciencias Sociales. Likewise, in 2009 Editorial Ciencias Sociales published Socialism Doesn’t Fall From the Sky and in 2015 Ruth Casa Editorial and the Instituto Juan Marinello published The Contradictions of “Real Socialism”: The Conductor and the Conducted. More recently Lebowitz published The Socialist Imperative. On this occasion, we dealing a study that covers a very topical subject of interest to our country and for the Latin American context: the pertinence and existing possibilities for the development of socialism with a correct understanding of the process of socialist transition. Michael A. Lebowitz (pictured) will be one of the keynote speakers at Socialism for the 21st century: Moving beyond capitalism, learning from global struggles being held in Sydney on May 13-15. Links International Journal of Socialist Renewal — An earlier version of this paper was presented at ‘The First World Congress on Marxism’ at Peking University, 10 October 2015 in Beijing, China. Everybody is talking about it — the dangers presented by climate change. Adding significantly, though, to the emphasis upon the need to take dramatic action now has been Pope Francis’s recent Encyclical Laudati Si’, ‘On Care for our Common Home’. Its over-riding theme is that we must ‘protect our common home’. ‘The climate,’ the document stresses, ‘is a common good, belonging to all and meant for all’ and is ‘linked to many of the essential conditions for human life’ (23). Not only, however, are we destroying those conditions but, ‘the earth, our home, is beginning to look more and more like an immense pile of filth’ (21). How is it, the Encyclical asks, that we have ‘so hurt and mistreated our common home as we have in the last two hundred years’ (53)? For more articles and videos by or about Michael Lebowitz, click HERE. For more by or about John Riddell. New York: Monthly Review 2012. May 19, 2015 -- JohnRiddell.Wordpress.com, submitted to Links International Journal of Socialist Renewal by the author -- In current discussions of twenty-first century socialism, the work of Michael Lebowitz has a unique merit: it is rooted in the experience of Cuba and Venezuela, where efforts in recent decades to move toward socialism have been the most vigorous. Quotations from Che Guevara and Hugo Chávez set the tone. Venezuela's president Nicolas Maduro with Marta Harnecker at the award ceremony. For more by or about Marta Harnecker and her ideas, click HERE.